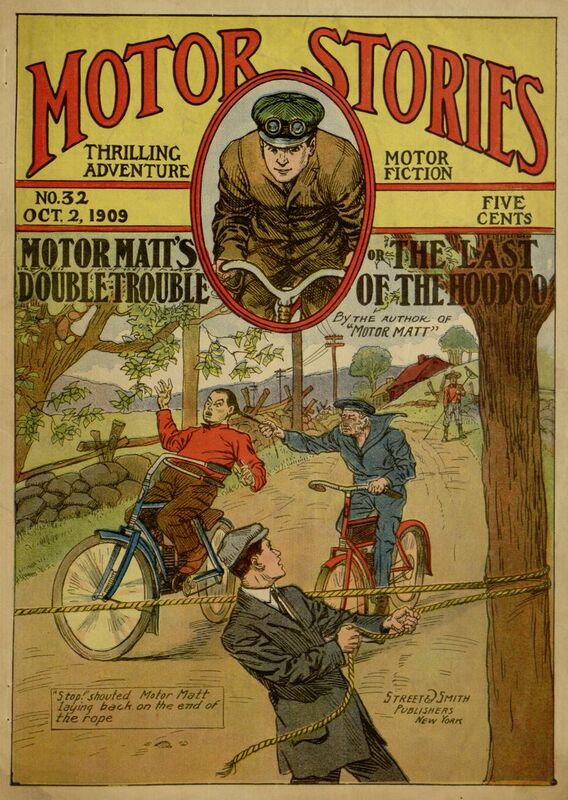 Our latest Project Gutenberg / Distributed Proofreaders eBook release is something of a milestone: the final issue of the Motor Stories series, Motor Matt’s Double Trouble; or, The Last of the Hoodoo. In this adventure, the tale of the stolen Eye of Buddha ruby takes another unexpected turn but is finally brought to a conclusion. Along the way, the story provides the usual fast-paced action, though what may stand out most in some readers’ minds is the peculiar way (characteristic of the series as a whole) that the text mixes overtly racist stereotypes with explicit messages against prejudice. As usual, the volume also includes an odd mix of filler material, including a piece on the history of the Northwest Passage, a Civil War anecdote, notes on the migrations of rats, and a brief list of “great catastrophes.” The full text may be read online or downloaded through Project Gutenberg. For those who have enjoyed the ride through this 32-volume epic, don’t despair just yet: Motor Matt’s adventures are not quite over! 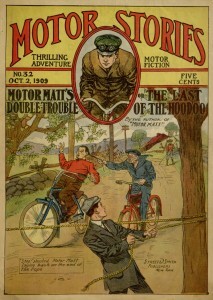 Two more stories of the “motor boys” were published in Brave and Bold following the conclusion of this series. Stay tuned: they will be posted here in the near future.